Sep 05, 2016 Hi Elizabeth, We are sorry for the inconvenience. Please contact our service support team at 800-749-4566 so that we can determine a solution to your issue. My gutters have been on my NE Portland house for two years and there's continued gutter clogging. I have to go out with the long handled broom they gave me to swept off needles or ask someone to get up on a ladder to clean off needles. I paid over $6,000 for the gutters and there's still overflowing on my front side of the house. I tried to get someone out to check them but there would a a fee of $147 to just look at them. 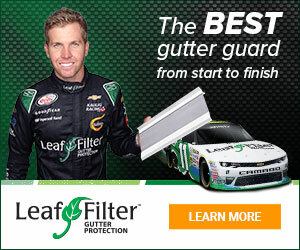 I'm so disappointed in their service and follow-up Don't buy these gutters! Review #400519 is a subjective opinion of User400519.